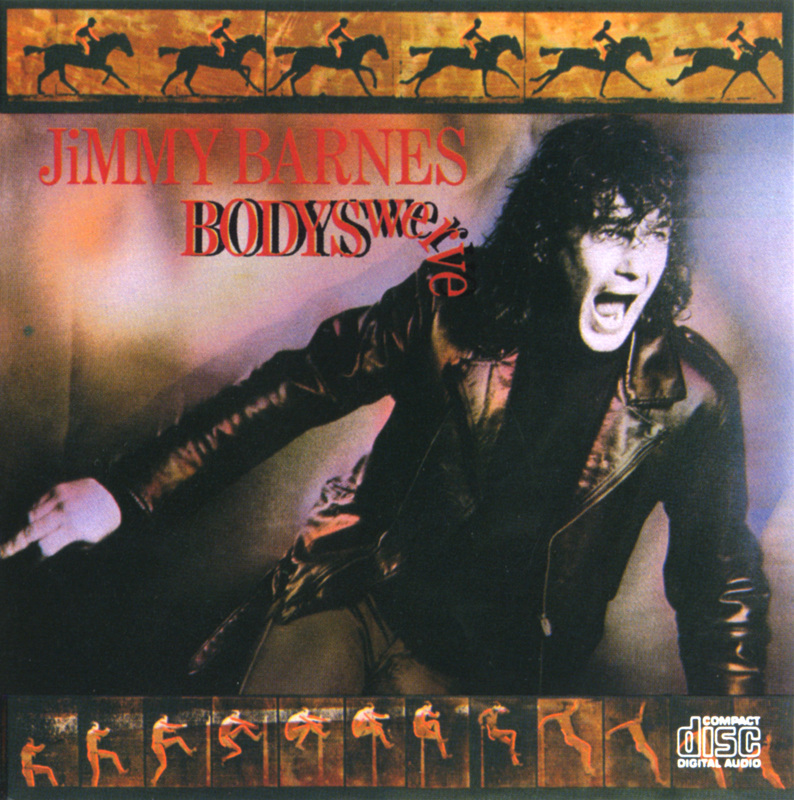 BODYSWERVE was the debut solo album by former Cold Chisel vocalist, Jimmy Barnes. The album was released on 10 September 1984 and went to Number One on the ARIA music chart. It contained covers of tracks by Sam Cooke and Janis Joplin. No Second Prize was the album’s first single. The song was originally demo’ed by Cold Chisel, but never recorded by them. It was written in 1980 as a tribute to Chisel roadies Alan Dallow and Billy Rowe, who died in a truck crash. Daylight was also originally a Cold Chisel song. That band’s version later appeared on the 1994 album TEENAGE LOVE. A version of this song was also used in a TV commercial promoting milk. Vision, Daylight, No Second Prize, Promise Me You’ll Call and Thick Skinned were all remixed for inclusion on 1985’s FOR THE WORKING CLASS MAN. The album title is a football term for a ‘feint’.